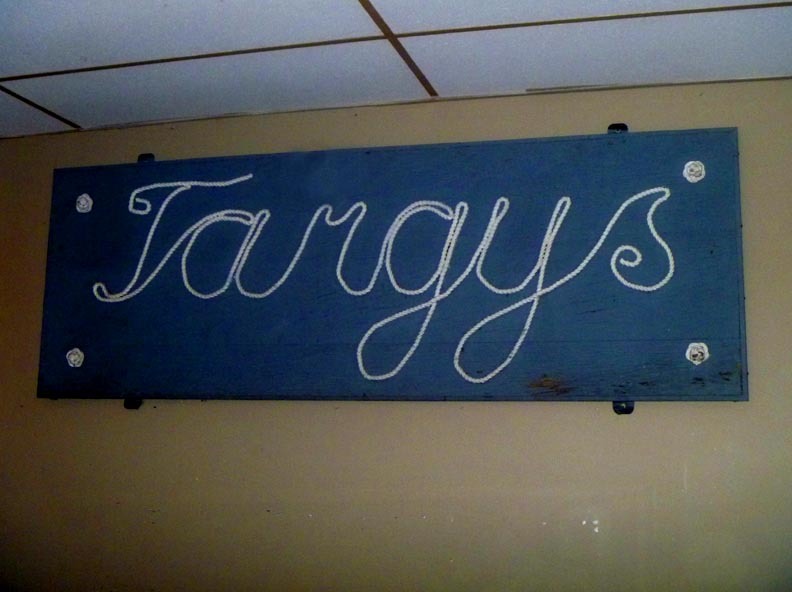 I had never even seen Targy's before this date and had a picture in my head of a boring bar somewhere in lower Queen Anne. 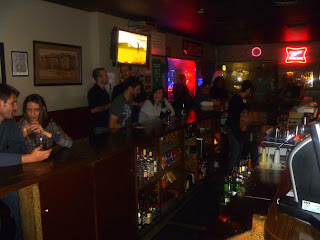 What I found was a very fine neighborhood dive, nearly hidden in a residential area of Upper Queen Anne since shortly after prohibition. 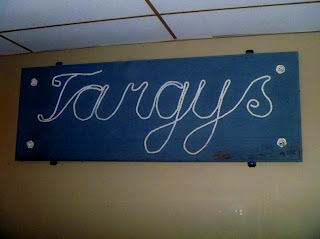 The one-armed bartender informed me that it was I had never even seen Targy's before this date and had a picture in my head of a boring bar somewhere in lower Queen Anne. What I found was a very fine neighborhood dive, nearly hidden in a residential area of Upper Queen Anne since shortly after prohibition. originally across the street. The decor is a likable dive sort, with varying vestiges of decades past like the blue sofa across from the black and red vinyl booths in front of 70s orange and mirror patterned wallpaper. Surprised you've never been there. It's literally right across the street from Julie's sister's house, so I'm more familiar with it, I guess.